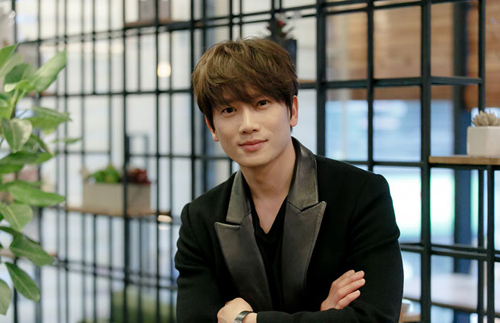 For two months, actor Ji Sung lived with seven different selves as he played a character suffering from dissociative identity disorder in MBC TV drama "Kill Me, Heal Me," which concluded last Thursday. The identities include a pessimist, a 17-year-old high school girl, a seven-year-old girl, and a third-generation tycoon. The character seeks refuge in them because he was abused as a young boy. "I think children deserve unlimited love more than anything, and TV series should carry that kind of social message rather than producers worrying about how to make it successful commercially," Ji said. "It would be nice if we can convey a message of hope in our work, especially in the current depressing climate." In his 16 years in the business he has never drawn so much praise and acclaim. "I regret nothing as I've done everything I could possibly do in the show," he said. "When would I ever get wear a high school girl's uniform, eyeliner, and speak in heavy accent?" He and his wife, fellow actress Lee Bo-young, are expecting their first child in late June, but because of his busy schedule he said he has not been able to spend enough time with Lee. "I was sorry about that, but now that the project has wrapped up I'll try to be with her and prepare to meet our baby," he said.